Royal Enfield motorcycles are quite popular, making them ubiquitous on Indian roads. Yet, there are many unique iterations of this bike that will simply leave you stunned at its sheer versatility. We bring you a few such Royal Enfields from around the world. Necessity leads to innovations. 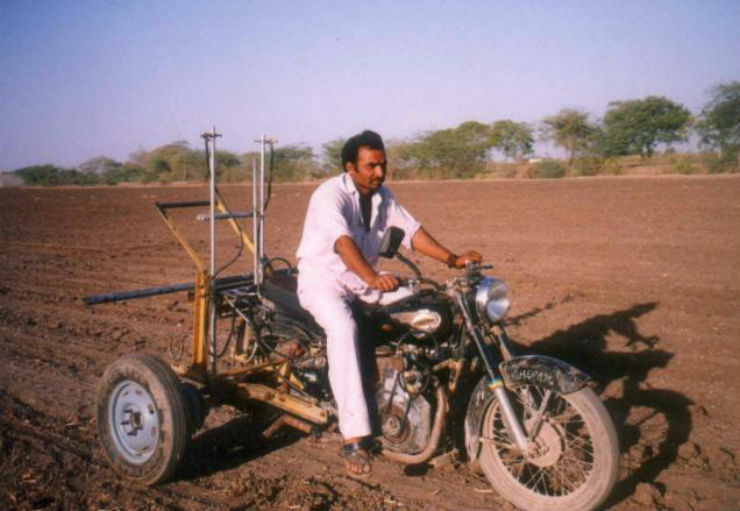 This old saying has done wonders to the life of a farmer Mansukh Jagani who modified the Bullet into a tractor and has been actively using the same since 1994. 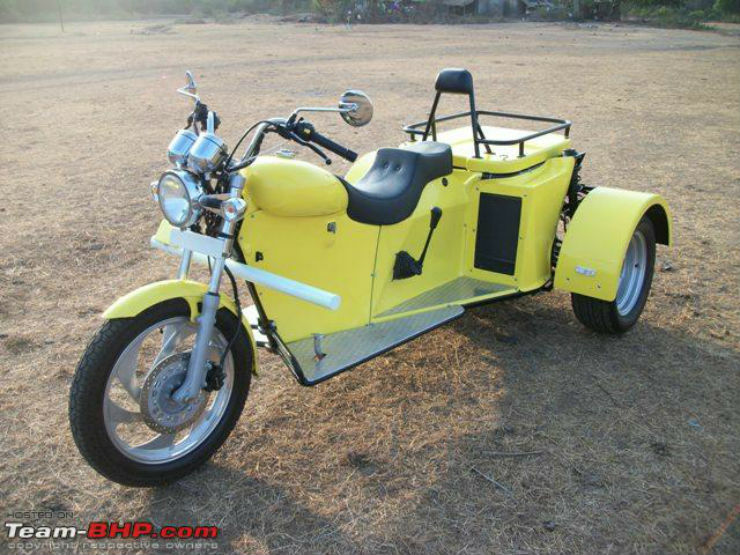 The modified Enfield also won award from National Innovation Foundation in India in 2002. High on low-end torque, the Bullet has been transformed to a farming equipment. The Bullet now gets three wheels and a plougher as an attachment in the rear. The rear wheels are from a small tractor, that help getting traction in the agricultural field. The plougher is set-up with a lever mechanism that can be used to lower it to the ground. It can be used for various farming purposes like ploughing, harrowing and sowing. The cost effective solution replaces the use of bulls from farming and brings down the costs substantially. The motorcycle is named as Suja and has been getting a lot of attention in African countries like Kenya recently. While preparing for a long journey around the world, Harry Lyon-Smith made changes to the Royal Enfield motorcycle to make it run on vegetable oil or diesel. The motorcycle gets 418cc, direct injection diesel engine that produces a maximum of 10 Bhp at 3,600 rpm. Gearbox and other vital engine components like the clutch remain the same. The motorcycle also get a new final drive sprocket to make use of lower engine power. The engine can run on either 100% vegetable oil or on a mixture of diesel and vegetable oil. This brings down the fuel cost drastically. Even though there are cold start problems mentioned by the owner, this sure holds a place in our unique list. This Industrial Design teacher based out of USA has done something that all Royal Enfield fans can only wish for. 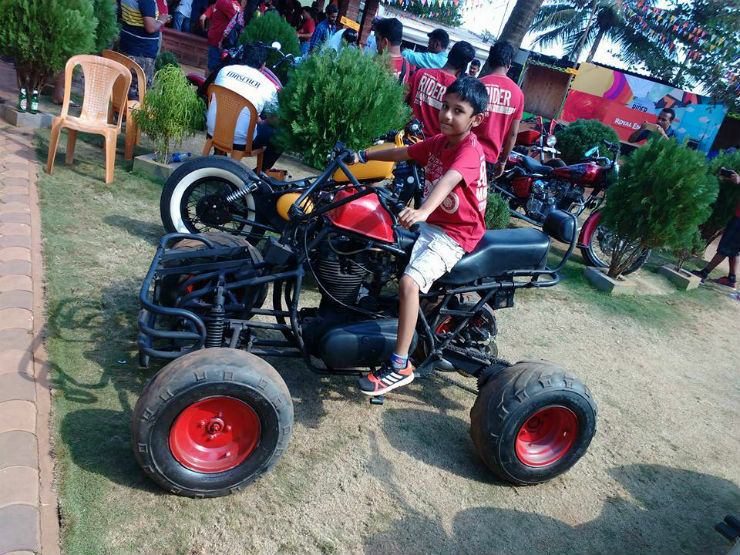 Aniket Vardhan joined two Royal Enfield 350cc engines in a “V” alignment to create a 700cc monster. 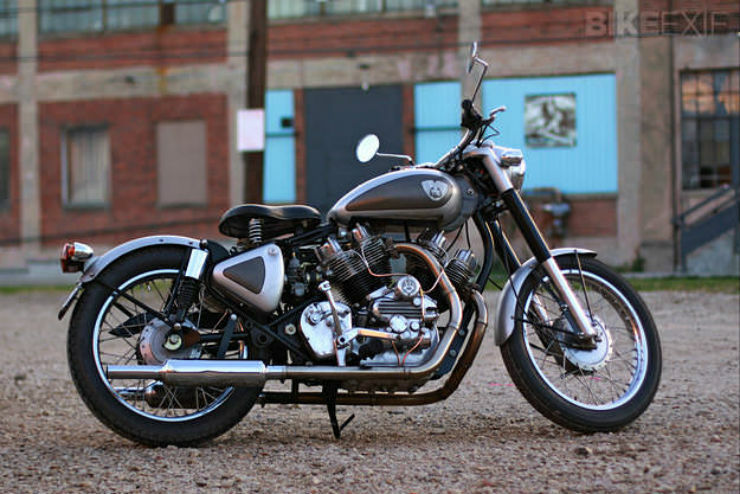 The motorcycle known as Musket 700 looks as good as it sounds. 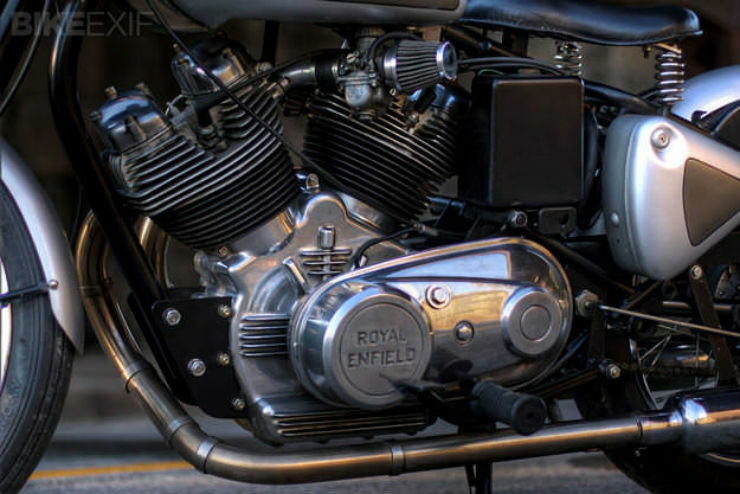 Most of the engine parts used to create the V-Twin engine are the original parts used by Royal Enfield. A 998cc version of the motorcycle has also been developed. Keeping most of the engine parts from the engine makes the engine easy to maintain and repair just like all other Royal Enfields that are born in the Chennai factory. 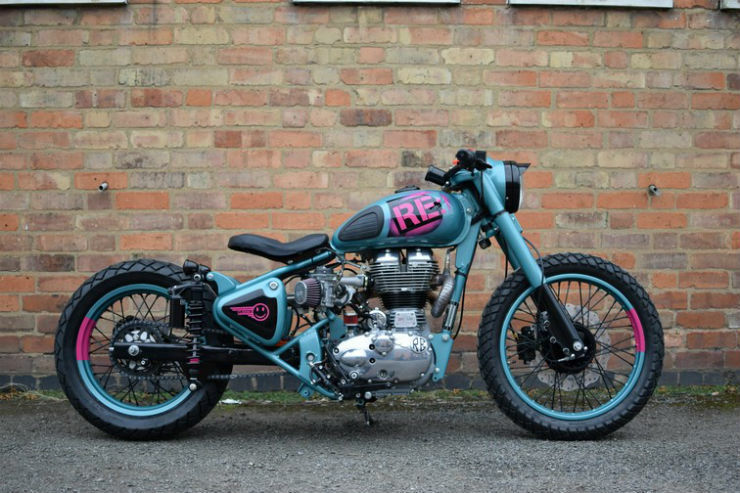 Customised by Royal Enfield factory itself, the Mo ‘Powa’ is a dragster based on the Royal Enfield Classic 500. The wheelbase has been stretched and the swingarm has been replaced with the Continental GT’s swingarm to lower the stance of the motorcycle. The rear gets new shock absorbers from K-Tech while the front forks get stiffer spring. The handlebar has been replaced with a flatter one. The most significant changes take place in the engine. There is now a turbocharger supplying the engine with more air. The carburetor has been replaced with fuel injection. The fuel gauge has been replaced with turbocharger boost gauge. To give the whole set-up more traction, the rear tyre has been replaced with Continental TKC70 dual purpose tyres. 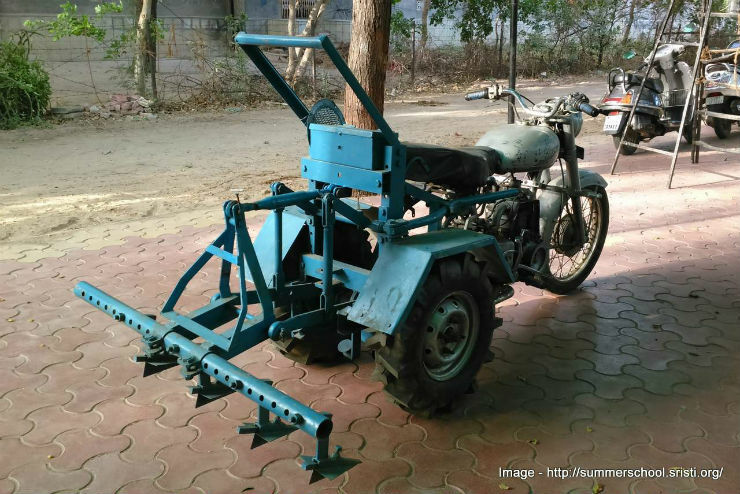 This form of Royal Enfield has become a lifeline in many parts of Gujarat. 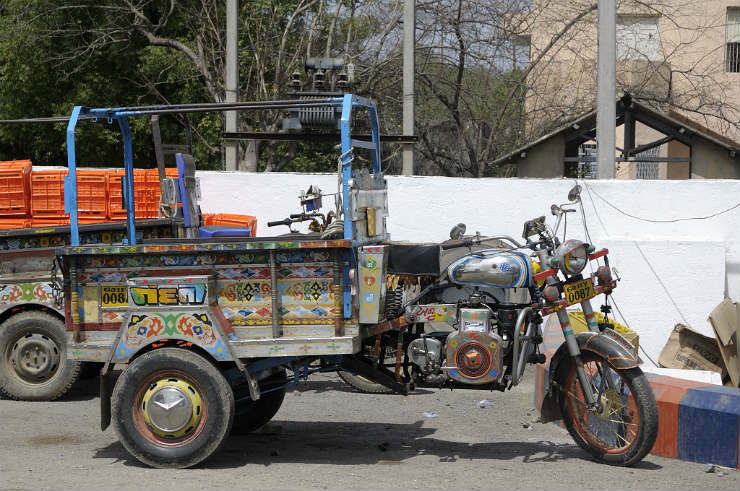 The motorcycle modified to carry people is one of the usual scenes in Saurashtra in Gujarat. This modified form is known as Chhakda and is painted with various colors to attract passengers. It can carry up to 30 passengers at a time and can reach a top speed of 35 km/h while returning phenomenal fuel efficiency. The design is said to have been around since 1972 when Jagjiva Chandra, a garage owner developed the vehicle. The mighty looking vehicle gets the skeleton of ThunderBird. The power is drawn from the 796cc engine of Maruti 800 that produces a maximum of 37.5 Bhp and 59 Nm of maximum torque. The Trike features McPherson struts with coil springs in the rear and keeps the stock suspensions in the front. The modified machine is not road legal but can be used on private property without a fuss. 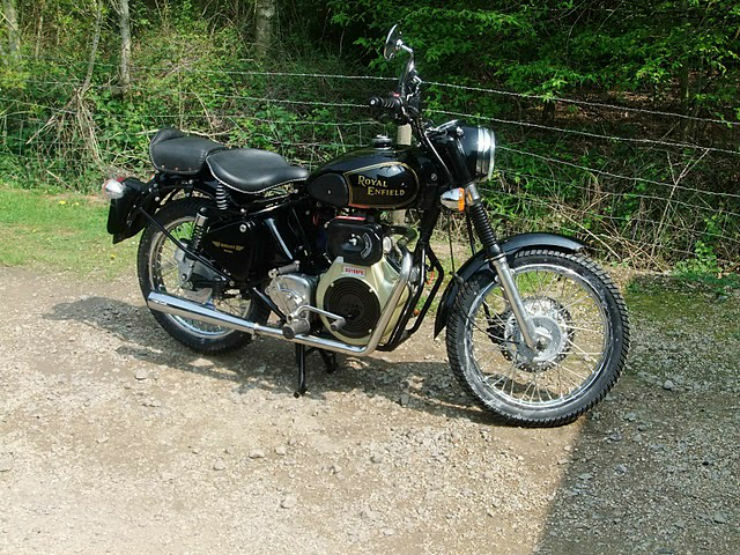 This All-Terrain Vehicle modification has used the 1988 model of Royal Enfield Standard 350cc. 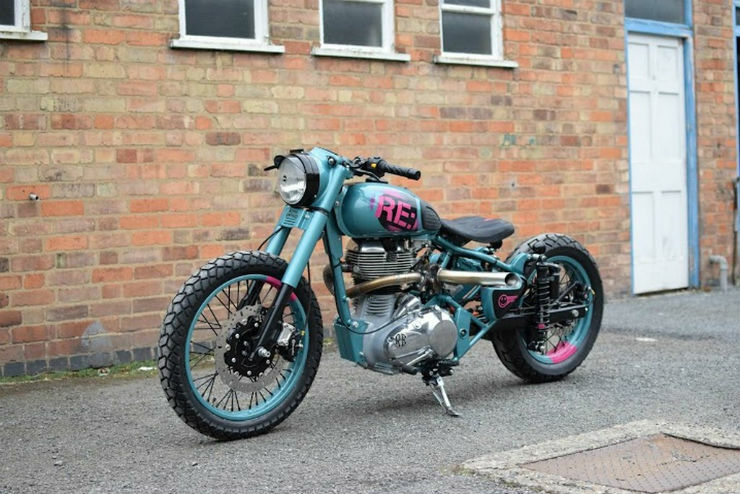 Even though the power is supplied only to the rear wheels through the final chain drive, this modified Enfield looks way too cool. The handlebar has been replaced with a higher one for better seating posture while the front gets heavy duty iron grille as a guard against huge rocks on the beach, where is stationed and used.